The bond between each mother and her child is special, as it starts long before the newborn enters this world. Unlike all other relationships between people, the connection between mom and baby doesn't get gradually stronger over the course of time, as it starts strong and always stays so. This cute story is about adorableness of mother-daughter relations. 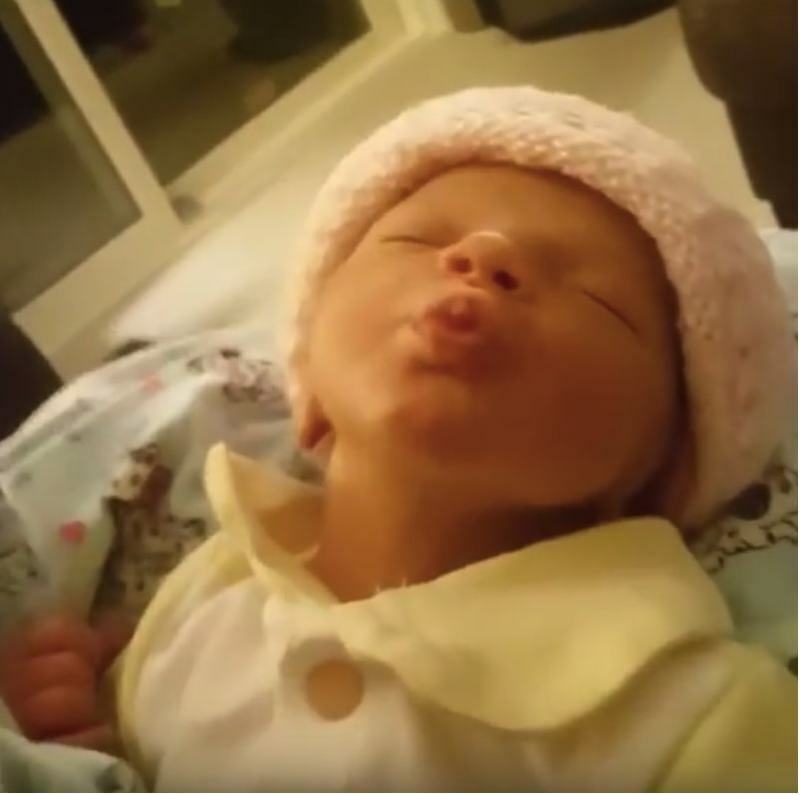 The sweet video with happy mother kissing her baby spread like wildfire on the Internet because of newborn's hilarious reaction to the mother's display of affection and love. 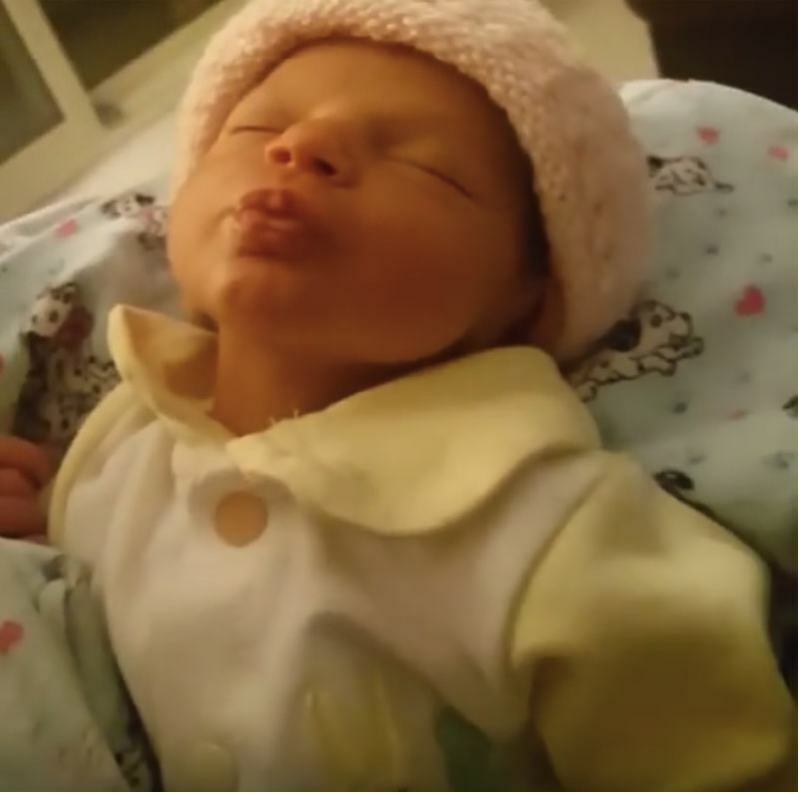 The video shows a mom holding her sweet little daughter. 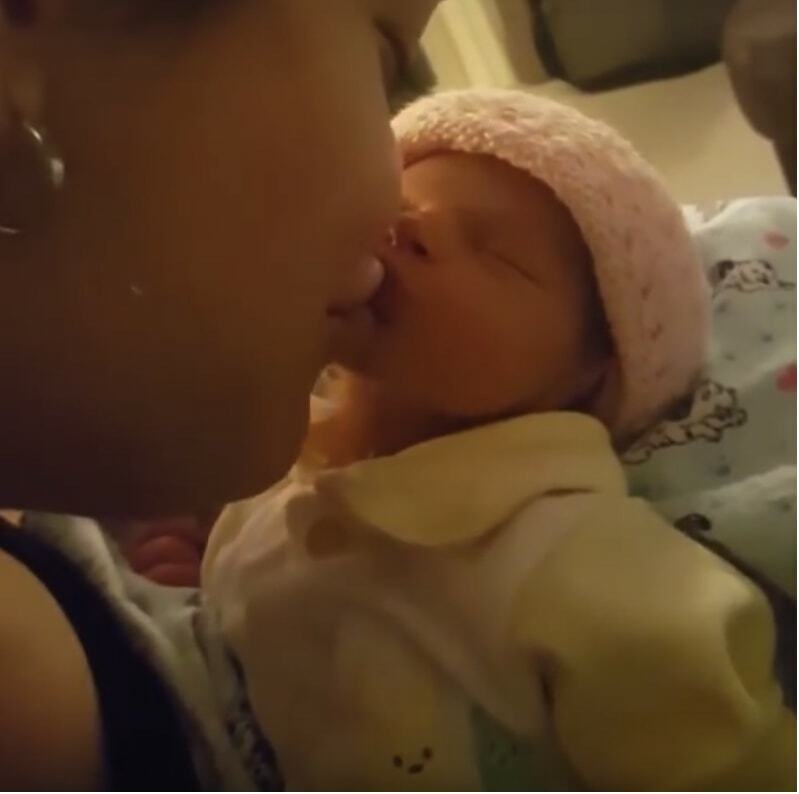 When the loving mom leans it to give her sweet newborn a kiss, a baby does something completely unpredictable but purely amazing! As soon as the mom stops kissing her sweet child, the baby puckers her lips like she wants to kiss a mom back or receive another kiss. For obvious reasons, the mom bursts with laughter at her daughter's too cute for life expression of love! 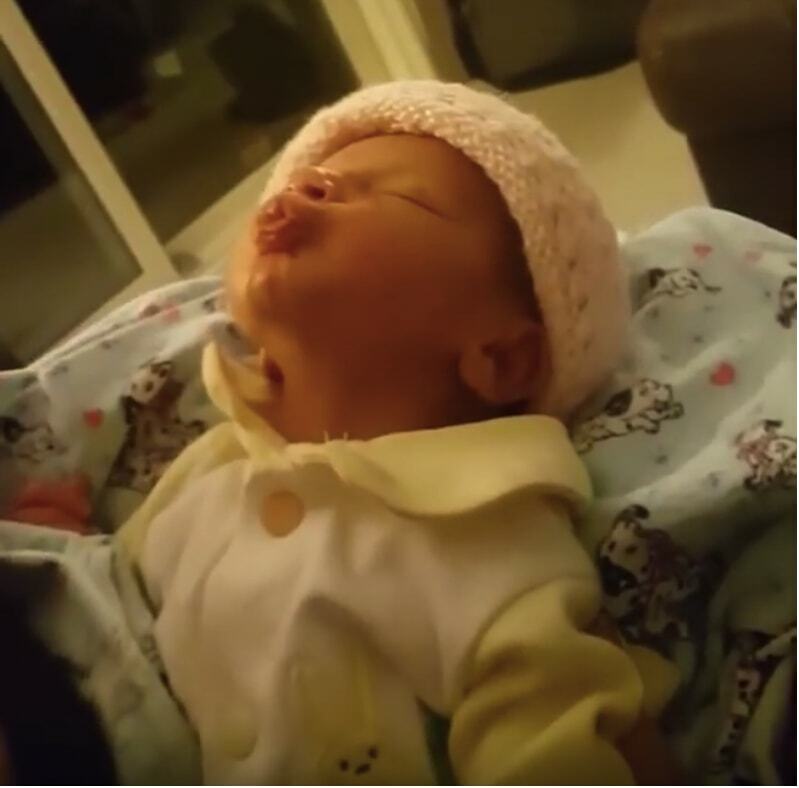 Full of joy, mom leans in to kiss her baby one more time, and the daughter puckers up again! 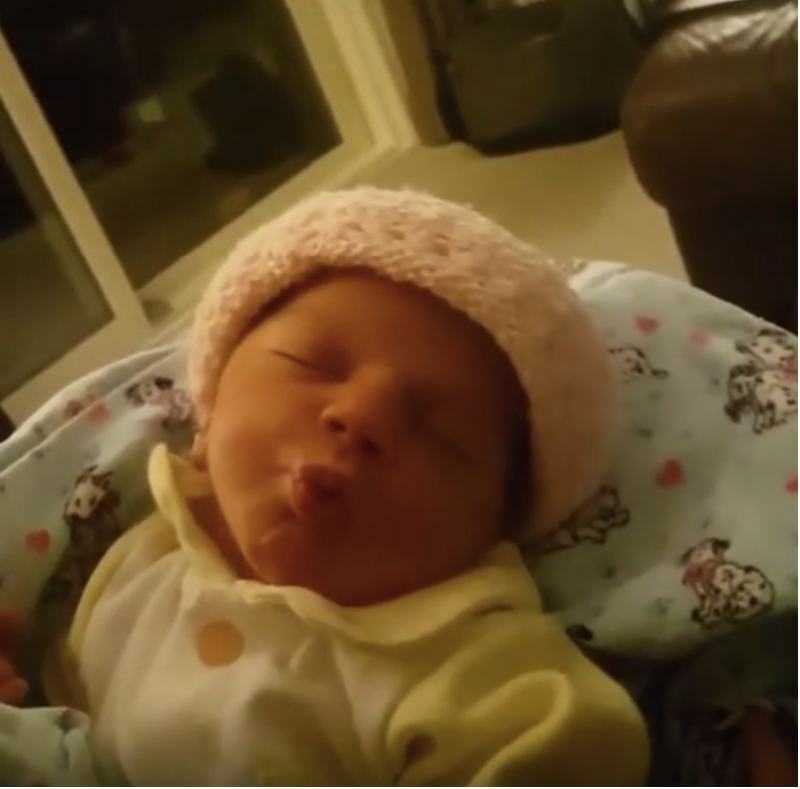 The mom is completely shocked at her baby's dramatic facial expression! The sweet baby lights up the entire room with this cuteness overload. No video ever can compare to the sweetness of this one! So watch it yourself to enjoy this incredible mother-daughter bond. The amazing video is taking the internet like wildfire, and the reason is obvious! Everyone seems to enjoy sharing this cute family story with friends. Many thanks to the mom of the little princess for sharing the video. She has made the days of millions of people from all over the world. Never be afraid to share your story! Who knows, maybe your precious moments will become the highlights of people's days worldwide. Are you afraid to post such intimate materials online? Share your opinion in comments.